These stylish aquashorts from Speedo are 20 times more fade resistant than conventional swimwear and produced from quick-drying, 100% chlorine resistant Endurance®+ fabric that keeps its shape swim after swim. They have a 27cm (10.6”) leg and ensure added softness and comfort thanks to the 4-way stretch technology. In addition, an aquashort style provides maximum freedom of movement, while a drawstring waist guarantees a close and comfortable fit. Endurance®+ fabric that is 100% chlorine-resistant, quick drying and engineered to keep its shape, swim after swim. 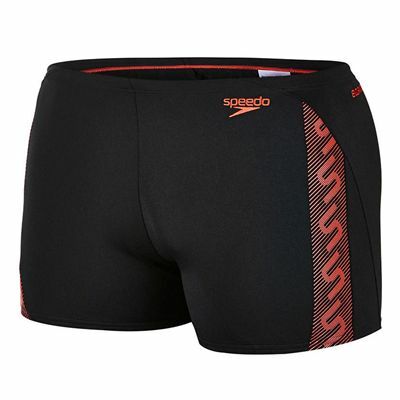 for submitting product review about Speedo Monogram Mens Aquashorts SS14.